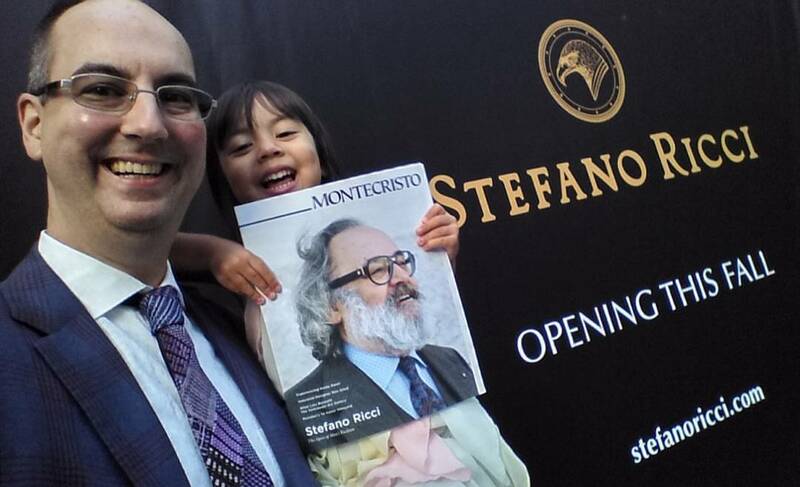 VANCOUVER, BC – Pick up a copy of Montecristo Magazine’s latest issue. The cover article tells you about someone who is creating clothing that is “The Apex of Men’s Fashion: Stefano Ricci”. Showcase Pianos owners Manuel & Judy Bernaschek discovered the brand in Rome 10 years ago during their first year of marriage – at the same time they were preparing to open their first piano store. Now they are happy to announce that they have partnered with the illustrious clothing factory to open the first Stefano Ricci store in Canada. Located across the street from the Shangri-La Hotel, next door to the new Trump Tower, Stefano Ricci aims to open in November of 2016. All the best, Manuel and Judy!! !